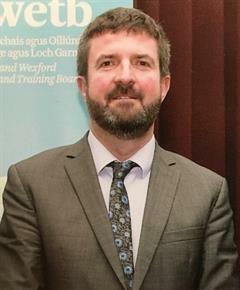 Is í aidhm na Meánscoile ná go mbraitheodh na daltaí sábháilte ar scoil agus ar uair na práinne go n-aithníonn agus go mothaíonn siad go ndéanfar cúram dóibh nuair is gá. Buaileann an Coiste Tréadchúraim le chéile uair sa tseachtain chun nithe áirithe a phlé agus cuirtear tacaíochtaí bhreise ar fháil dóibh, d'fheadfadh go rachadh an Séiplíneach chun cainte leo go príomháideach nó go ndéanfadh an múinteoir ranga glaoch teileafóin rúnda abhaile chun a chinntiú de go bhfuil na tuismitheoirí ar an eolas, faoi dul chun cinn an páiste. 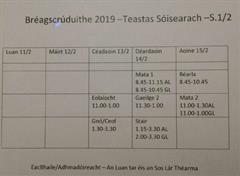 Ar an gcoiste tá an Príomhoide, Príomhoide Tánaisteach, Príomhoide Cúnta, Séiplíneach, Múinteoir Tacaíochta, Teagmhálaí Baile Scoile agus an Phobail, agus freastalaíonn Comhordaitheoir um Chlár Scoile an Teastais Shóisearaigh agus an Comhordaitheoir Forás ar na cruinnithe ó ham go chéile nuair is gá.